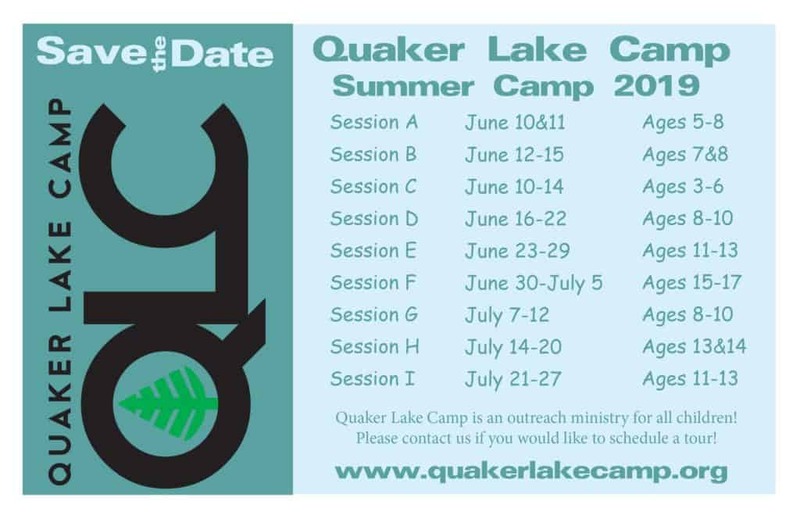 Registration for 2019 Quaker Lake Camp is now open. See the image below for dates and ages. Click here to register.